This week, my husband and I celebrated our 8th wedding anniversary. 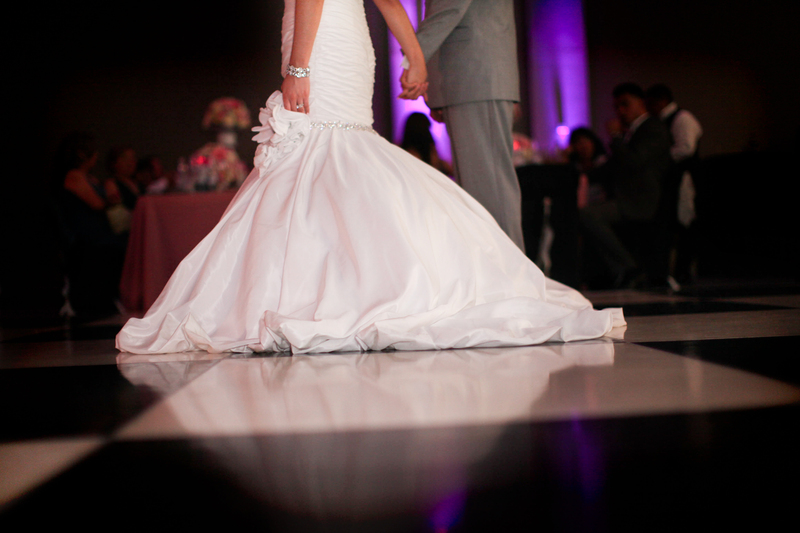 Our wedding was pretty traditional and as you may have guessed our wedding colors included pink. 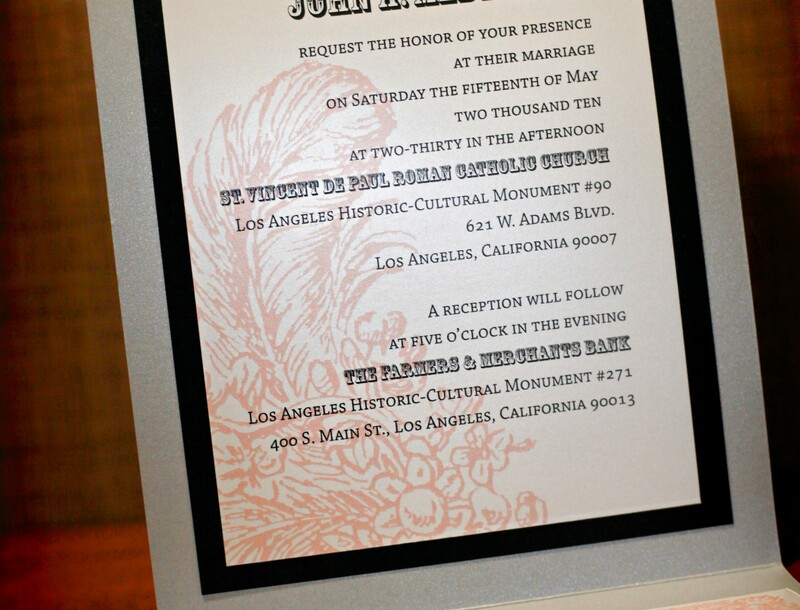 However, the main vibe that I wanted to keep throughout was a Los Angeles wedding theme. 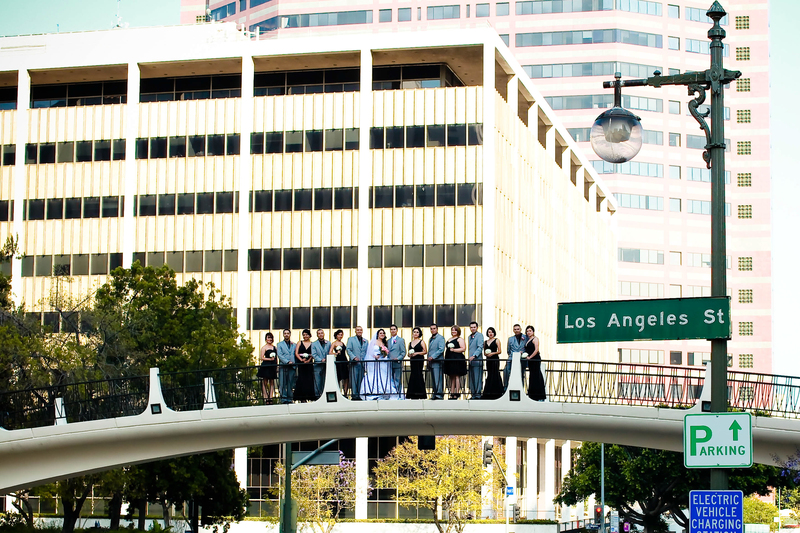 It’s not surprising that I love L.A, it’s my city and a big part of my life, so my wedding had to represent the love I have for Los Angeles. 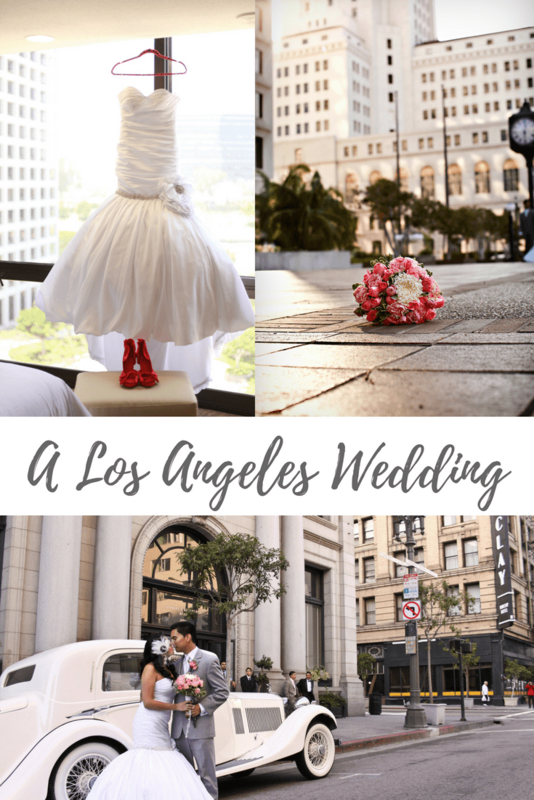 Below are eight pieces of advice I give any bride and groom planning a wedding plus eight ways you too can have a Los Angeles themed wedding. 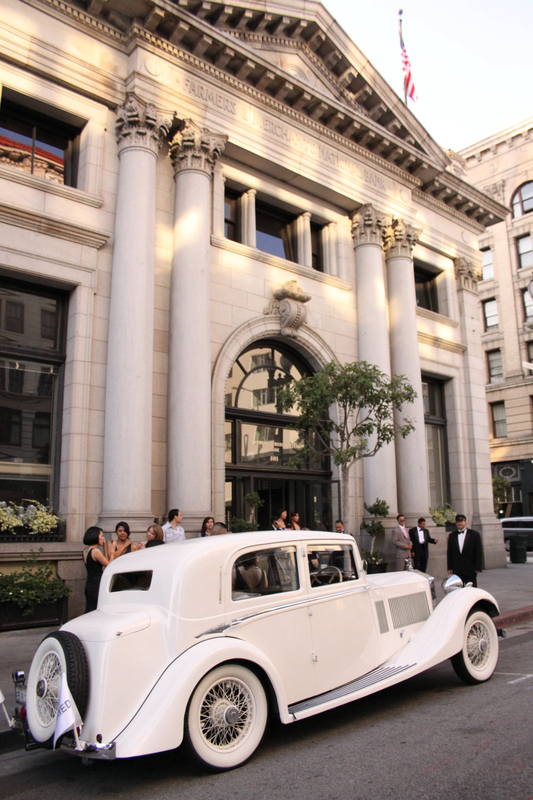 Number One: If you want to set the stage for a wedding that screams out L.A, choose a ceremony and reception venue that is located in Los Angeles. 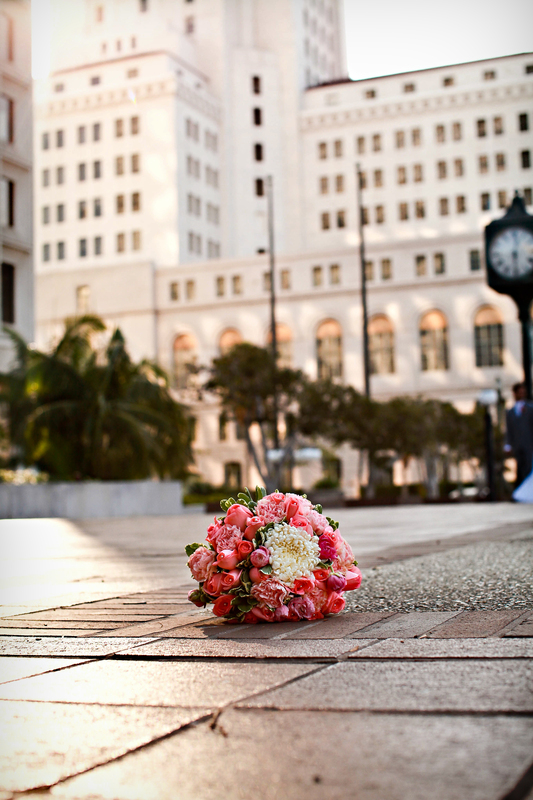 We chose to keep all of the wedding festivities in Downtown, Los Angeles. 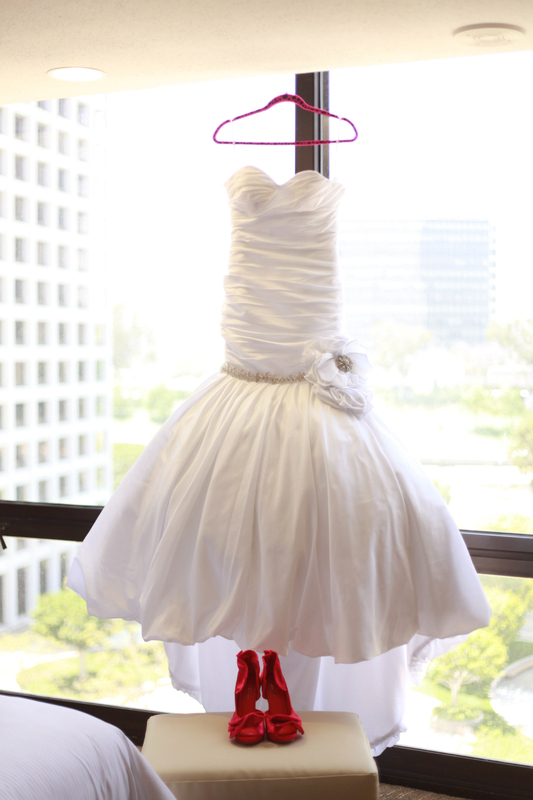 We started the day by getting ready at the Westin Bonaventure. We rented a suite for myself and the bridesmaids to get ready in and came back to it after the festivities were over. I recommend getting ready in a space that is comfortable for you. Clutter makes anxious and you want your day to be as stress-free as possible! 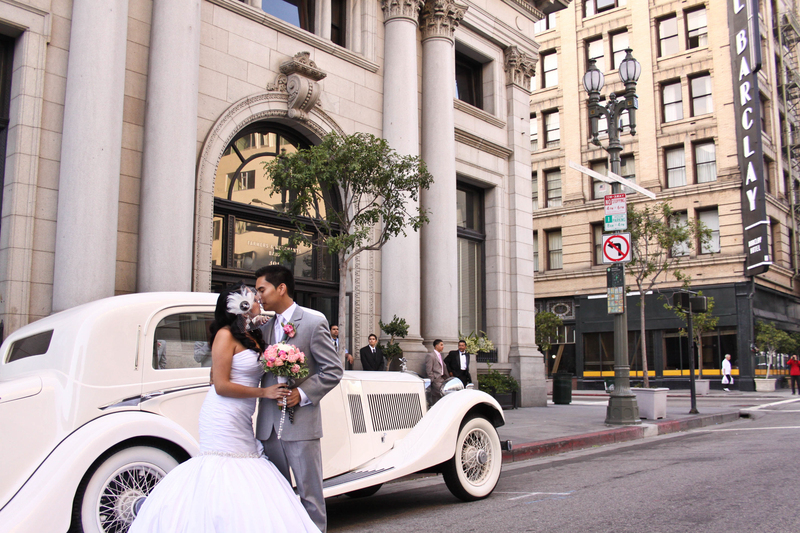 Number Two: Our ceremony took place at St. Vincent De Paul Catholic Church near USC. This church is grandiose and although it’s not our parish, it’s a beautiful historical Los Angeles monument. 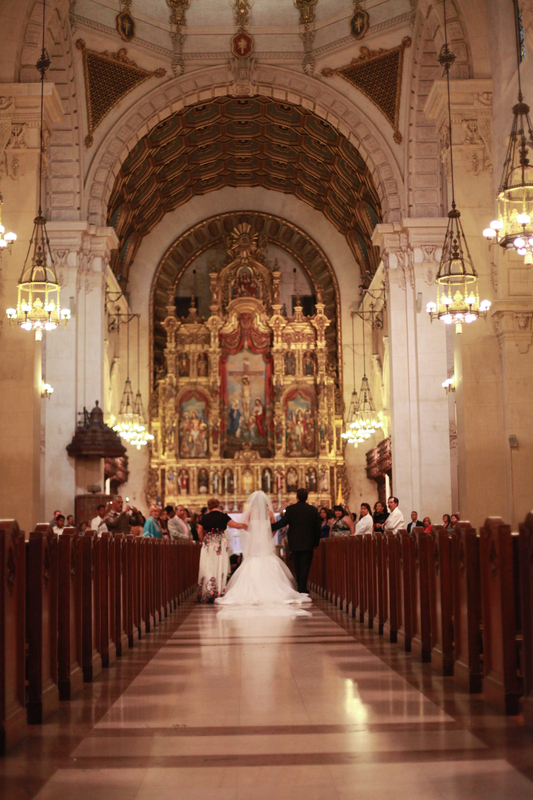 We chose this church because we wanted a traditional Catholic wedding and it was one of the closest to our reception venue. If your ceremony and reception venue will take place at two different locations, make sure to include it in your invitations. 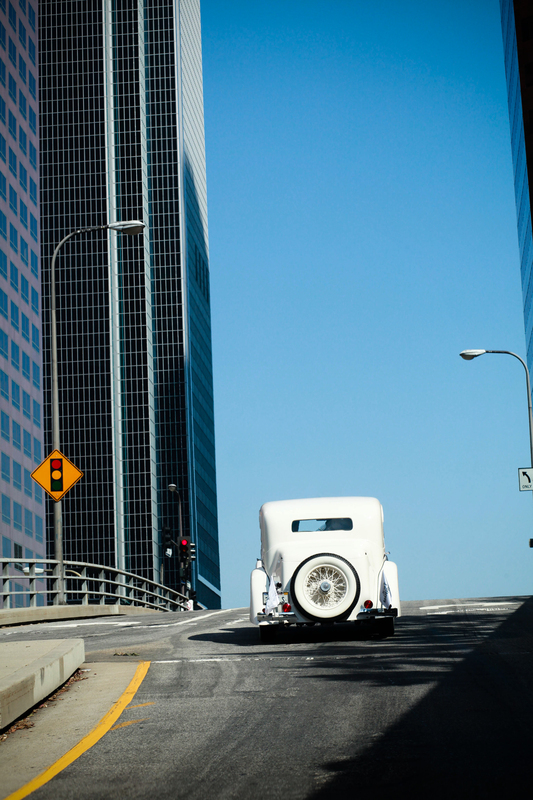 Number Three: We had a small gap between the end of the ceremony and the start of the reception so we took a ride around Downtown, Los Angeles to take wedding party pictures. My new husband and I also rode solo to spend time alone and enjoy the first few moments of our marriage just the two of us! 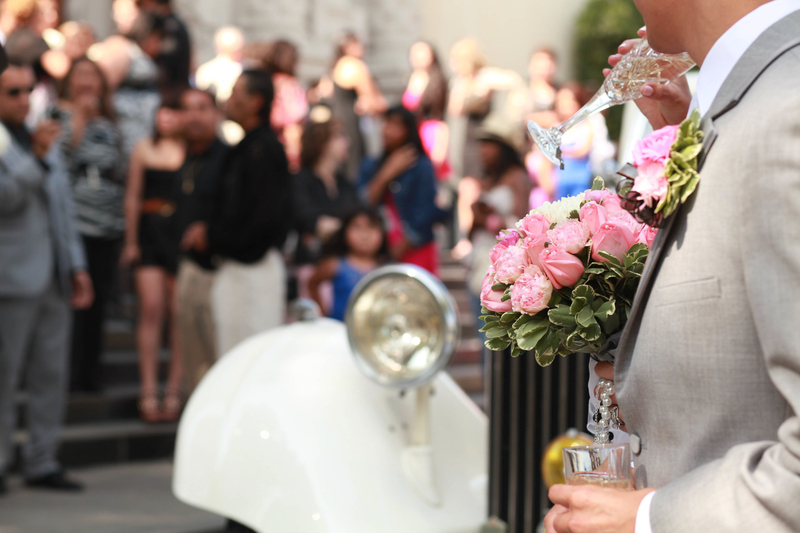 It’s your wedding day, take the time to enjoy each other. 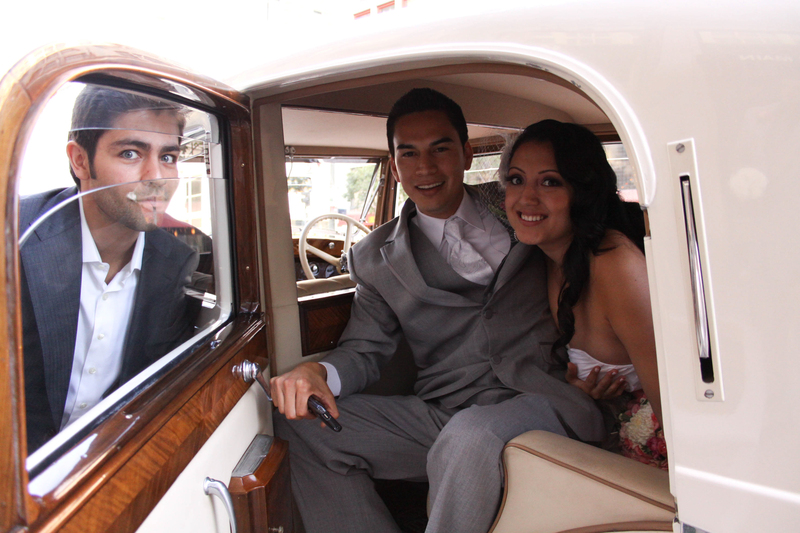 Number Four: Your wedding party pictures don’t have to take place at the ceremony venue. If you have time in between the festivities, have some fun and take them elsewhere. 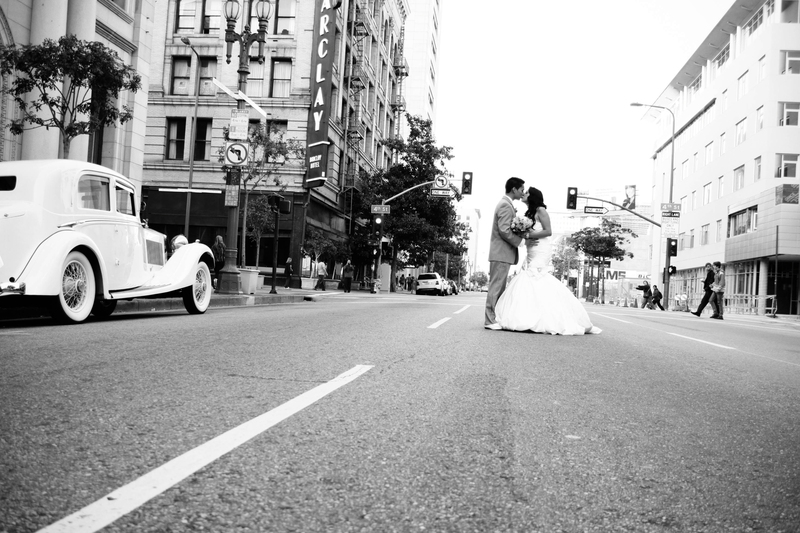 I had pre-selected Los Angeles street ahead of time and loved the outcome of incorporating street signs, local architecture and city hall in our wedding pictures. Number Five: I wish websites like Peerspace existed back when I was planning my wedding because I knew from the beginning that I did not want a traditional venue. 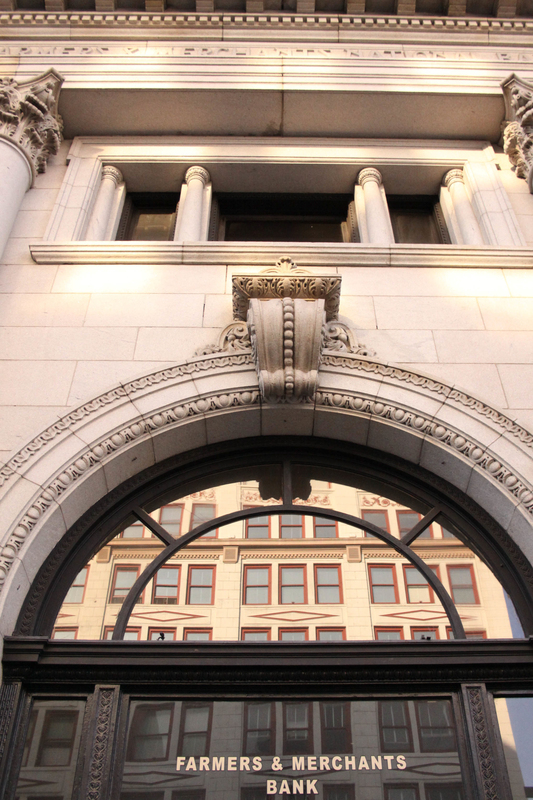 I had fallen in love with the architecture of the Old Farmers and Merchants in Downtown, Los Angeles and went through so many hoops in order to rent the space out. 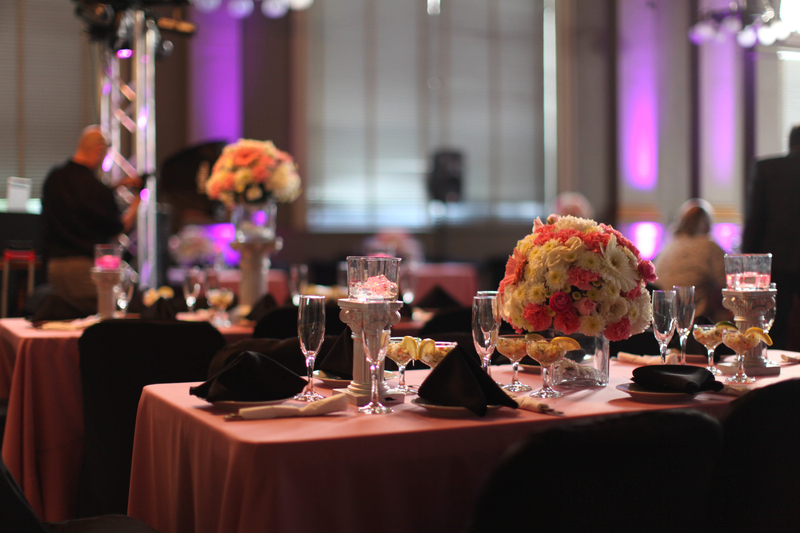 It’s was a lot of work because this space did not include common wedding venue amenities like a bridal suite, tables, and chairs, bar, kitchen or a staff. We had to create and bring in absolutely everything! And in all honesty, I probably would not go that route again. However, it’s been eight years and I know there are tons of services and sites that could help with selecting a unique venue. 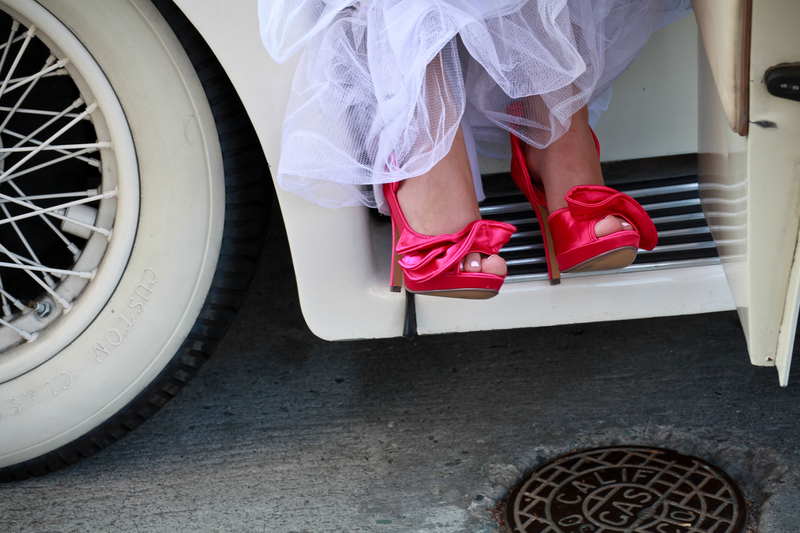 Number Six: Weddings should be a representation of the bride and groom. I love how couples express themselves through their wedding but I’m also a fan of keeping it traditional, simple and timeless. 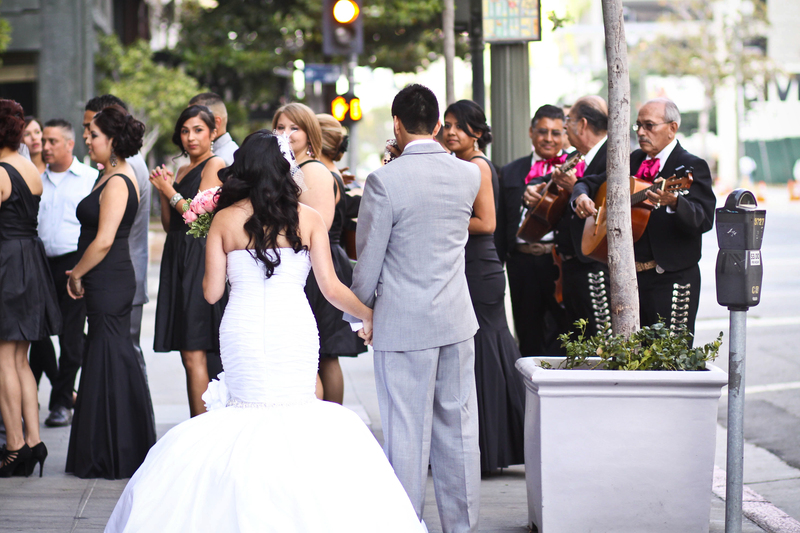 Both my husband and I are Mexican, so it was important to have live Mariachi music to represent my heritage. 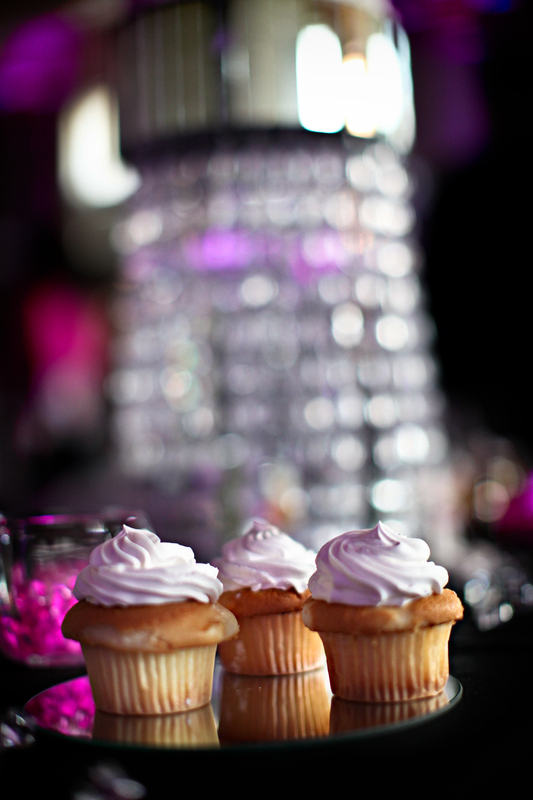 We kept things simple by giving out cupcakes instead of cake to our guests and timeless by going with a white and black dance floor. Number Seven: Have fun! The long months of planning are a blur and are gone in just one day. Take the time to enjoy the moments and your day. I suggest setting a budget aside for a day of coordinator. My dear friend did an amazing job taking care of all of my vendors on the day of and I have no clue what I would have done without her. Number Eight: Expect the unexpected. I’m an event coordinator by trade so I know to have plan a, b and c in the back of my head. Things will never go as planned and that’s ok. Roll with it. You may have good and bad surprises but this is your day and nothing else matters. I know that wedding planning can be a really fun time but also extremely stressful. 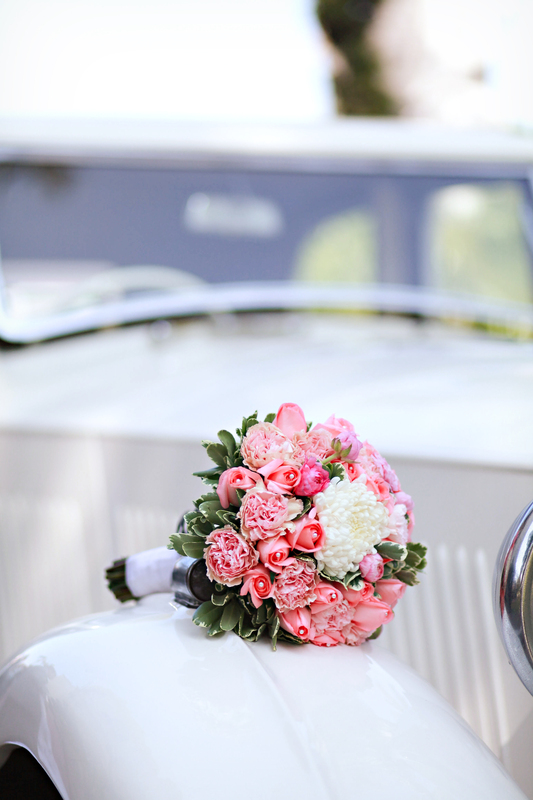 The one piece of advice that I believe is the most important is to make this day about you and your partner. It is not humanly possible to give in to everyone’s personal taste, flavor or music preference, or schedules. Do what feels best for you. I continue to live by that motto in my personal life and have no regrets. 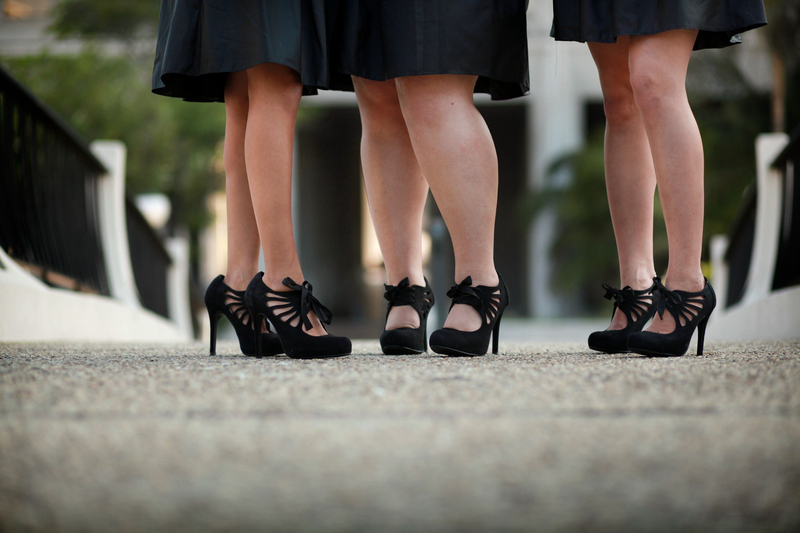 Photo Credit goes to our amazing photographer Russell of Snider Photo and Design! Bonus Piece of advice: Get yourself a photographer you feel comfortable with. 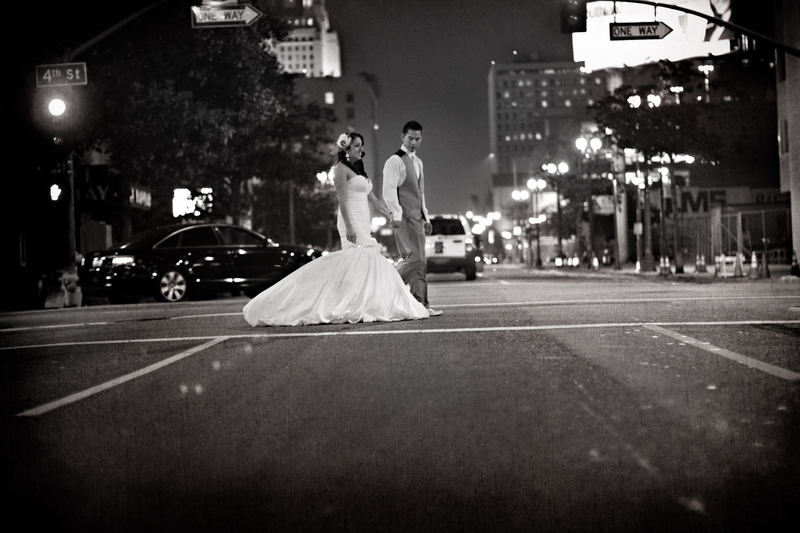 If you are looking for a wedding photographer, I recommend Russell, The Medina Creative (my husband) and L.A Momma Photography. We did not hire a videographer and that’s the biggest regret I have. I recommend Milestones of Love. Photography is amazing but it would have been great to hear and see the moments play out too. 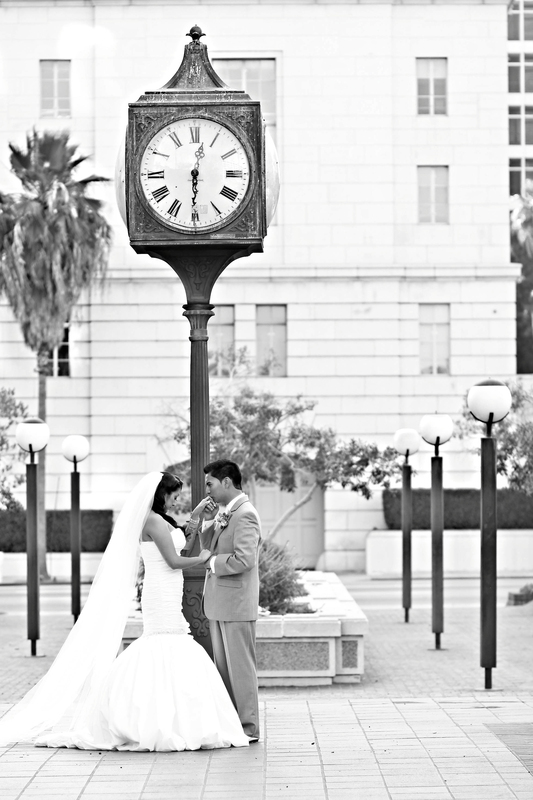 I would love to hear your thoughts on your wedding or soon to be wedding day! Thank you! I do love L.A ;)!